In South Africa Pass laws were a form of internal passport system designed to; segregate the population, severely limit the movements of the black African populace, manage urbanization, and allocate migrant labour. Before the 1950s, this legislation largely applied to African men, and attempts to apply it to women in the 1910s and 1950s were met with significant protests. Educated Africans could, in some circumstances, apply for exemptions, but since exemption documents themselves had to be produced on demand, the effect was similar. Pass laws would be one of the dominant features of the country's apartheid system, until effectively ended in 1986. The black population was required to carry these pass books with them when outside their homelands or designated areas. Failure to produce a pass often resulted in the person being arrested. Any white person could ask a black to produce his (or her) pass. Passes were opposed by groups like the revolutionary syndicalists and the black nationalists. The first internal passports in South Africa were introduced on 27 June 1797 by the Earl Macartney in an attempt to exclude all natives from the Cape Colony. The Cape Colony was merged with other states in the region to form the Union of South Africa in 1910, under Britain. By this time, versions of pass laws existed elsewhere. A major boost for their utilization was the rise of the mining sector from the 1880s: pass laws provided a convenient means of controlling workers' mobility and enforcing contracts. Outside the "homelands", black South Africans (from the 1950s, including women) had to carry passbooks at all times in order to prove they were authorized to live or move in "White" South Africa.Template:Sfnp Pass laws, as an instrument of labour control, typically required proof of employment, and limited the amount of time in which employment could be sought. the person had been granted a permit to remain by a labour bureau. The ironically named Natives (Abolition of Passes and Co-ordination of Documents) Act of 1952, commonly known as the Pass Laws Act, made it compulsory for all black South Africans over the age of 16 to carry the "pass book" at all times within white areas. The law stipulated where, when, and for how long a person could remain. The document was similar to an internal passport, containing details on the bearer such as their fingerprints, photograph, the name of his/her employer, his/her address, how long the bearer had been employed, as well as other identification information. Employers often entered a behavioural evaluation, on the conduct of the pass holder. An employer was defined under the law and could be only a white person. The pass also documented permission requested and denied or granted to be in a certain region and the reason for seeking such permission. Under the terms of the law, any governmental employee could strike out such entries, basically canceling the permission to remain in the area. A pass book without a valid entry then allowed officials to arrest and imprison the bearer of the pass. These passes often became the most despised symbols of apartheid. The resistance to the Pass Law led to many thousands of arrests and was the spark that ignited the Sharpeville Massacre on March 21, 1960, and led to the arrest of Robert Sobukwe that day. 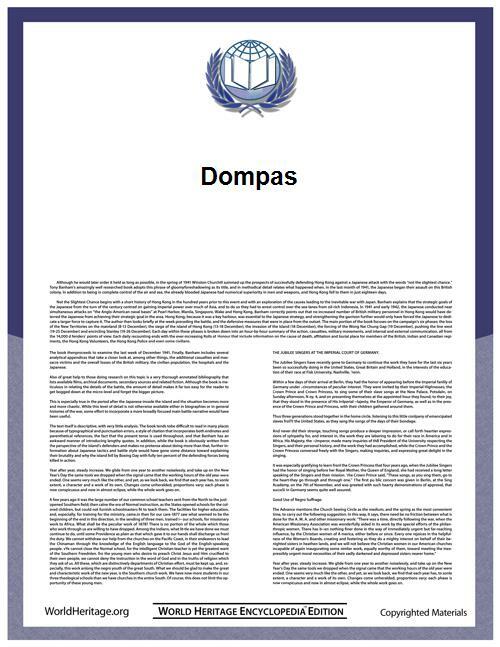 Colloquially, passes were often called the dompas, literally meaning the "dumb pass." Other movement controls applied to other groups. Indian people, for example, were barred from the Orange Free State. These discriminatory regulations fueled growing discontent from the black population. The 1910s saw significant opposition to pass laws being applied to black women. In 1919, the revolutionary syndicalist International Socialist League (South Africa), in conjunction with the syndicalist Industrial Workers of Africa and the early African National Congress organized a major anti-pass campaign. The 1950s saw the ANC begin the Defiance Campaign to oppose the pass laws. This conflict climaxed at the Sharpeville Massacre, where the anti-pass protestors led by the rival breakaway Pan Africanist Congress of Azania (PAC) was violently put down, with 69 people killed and over 180 injured. Subsequent protests and strikes were met with major repression and the ANC and PAC were both banned. On July 23, 1986, as part of a process of removing some apartheid laws, the South African government lifted the requirement to carry passbooks, although the pass law system itself was not yet repealed. The system of pass laws was formally repealed on November 13, 1986.